Fabricators, Restorers, Hot Rodders, Road Racers, Tinkerers, you can pretty much name it. machines for drag racing, touring, or somewhere inbetween. You don't have to own a Chevelle to become a member! member with a specialty skill. as either the host Club, or a participant. 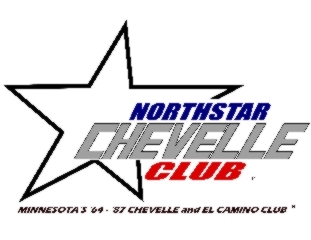 Northstar Chevelle Club was founded on October 6, 2002.
to pick a day when we'd get together. We could finally put faces to "on-line" handles! racing, and complaining that there wasn't a club for Chevelle addicts in Minnesota.